As I say in this sermon, I have a passion for convincing people that the resurrection of Jesus Christ really happened. 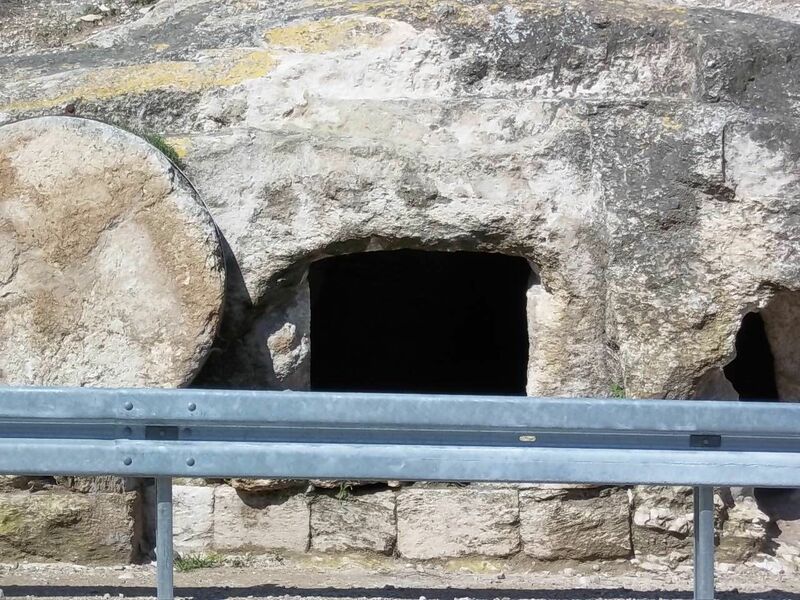 But the more urgent need in our church, in our community, and in our culture is this: To convince people who say they believe the resurrection really happened to live as if they believe it really happened! Because if the resurrection happened, then that changes everything! Yesterday I ran a race—a 5K—at my son Ian’s elementary school. It was a fundraiser for the school. Many people ran, including some very fast runners. I did not expect to win—not at all. But I also didn’t expect to get smoked by my son Townshend. The last time I ran a 5K with him, he beat me by a little—and I was still dealing with a heel injury at the time, so I could have chalked it up to that. Besides, the time before that when we ran a 5K, I beat him by a lot. Yesterday, however, he beat me by a lot. And I thought I was in pretty good shape this time! So I had no excuses. I kept up with him for a little while, but… pretty soon he raced on ahead. So as much as it wounds my pride to say it, I think we have crossed the Rubicon; I will never again be as fast as Townshend. Sad, isn’t it? No, not really. It shouldn’t be. He’s young! In his prime! Of course he beat me! Today’s scripture describes something of a footrace, this one between Peter and John, called here the “disciple whom Jesus loved,” the author of John’s gospel. And it sounds like their race ended in a similar sort of way. And I think that John beat Peter to Jesus’ tomb for the same reason that Townshend be me. Because we know that John is a lot younger than Peter. 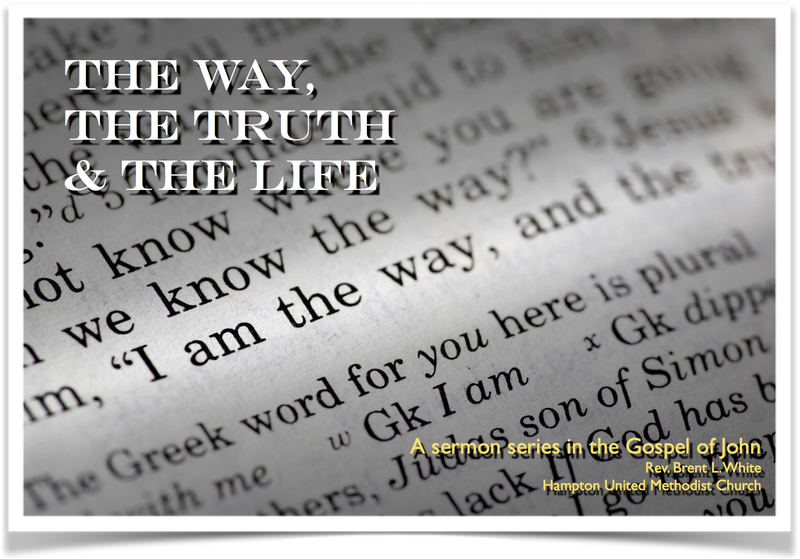 The following sermon was preached on Good Friday evening, March 25, 2016, at Hampton United Methodist Church. A British software developer named David Dixon moved to Brussels ten years ago to work for a financial services company. Like many expatriates in Belgium, Dixon’s loved ones back home wanted to know if he was all right in the wake of what happened last Tuesday. In fact, we have family—Lisa’s sister and her family—who live in Brussels, and I woke up Tuesday morning with a Facebook message from my niece saying that they were O.K. I hadn’t even heard yet that there was a terrorist attack there. But I wasn’t surprised given that just last week, the Belgians arrested one of the masterminds behind the Paris attacks last November. So… on Tuesday morning, Dixon received a text message from his aunt: “Had he heard about the explosions at the airport in Brussels, and was he safe? Dixon texted her back: He was fine. And I’m sure his aunt and the rest of his family in England were greatly relieved. I originally posted this on March 29, 2013. Very appropriate for today. Enjoy! The following are videos about Holy Thursday and Good Friday, which I prepared last year for Vinebranch using photos and video from my trip to the Holy Land. 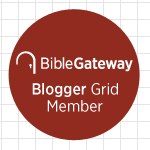 Jason Micheli, a United Methodist pastor and blogger with whom I’ve disagreed vigorously over the years on a number of issues, guest-blogged over at Scot McKnight’s blog today on atonement theology. He sees irreconcilable tension between those (many) parts of the Old Testament in which God delights in Israel’s temple sacrifices and those parts, such as Psalm 51 and prophets like Amos, in which he disdains them. So, according to the end of Psalm 51, the problem isn’t with sacrifices per se, but sacrifices offered in the wrong spirit—without accompanying repentance. Why is that hard to understand? What am I missing? One important theme of the Sermon on the Mount, after all, is that the condition of our heart matters more than any law-abiding action on our part. So wait: He thinks God might be unhappy that we’ve turned the cross into “pleasing, even necessary sacrifice”? As for its being “pleasing,” why does he think the church has called tomorrow’s holiday Good Friday? Christ’s submitting to death on the cross is the most “pleasing” event (from God’s perspective) in human history! As for its necessity, this is one question that has separated progressive Christianity from orthodox Christianity for the past couple hundred years. Is our thinking, I wonder in Holy Week, that Christ’s cross is a necessary sacrifice for sin a ‘kindness’ God permits because, though God hates all devotion devoid of any concern for justice, it’s just this offering, needful or not, that delivers what God truly desires: a broken and contrite heart? For me, what’s at stake is this: Does the cross of Christ accomplish something objective in reconciling sinners like me to God? I hope so, because if my atonement depends on me—and my “broken and contrite heart”—I’m doomed! In his “triumphal entry” into Jerusalem, Jesus announces to the world that he is king. Do we live our lives as if Jesus is king? Or do we live as if God’s kingdom were a democracy, and we get to vote on the question? If the latter, now is the time to repent, while we are still in this “season of mercy.” As I warn in this sermon, while he comes as a merciful king the first time, he comes as a king who judges and punishes the second time. There was a story in the news last week that gave me a chill: A University of Virginia student named Otto Warmbier, who was visiting North Korea as part of some organization, was boarding an airplane back to the U.S. when he was arrested. Allegedly, he stole some kind of propaganda sign from the hotel he was staying in. He confessed to doing it, but for all we know, he did so under duress, at gunpoint. I don’t know if stealing this sign was the moral equivalent of stealing hotel bathroom towels, but it didn’t seem much more significant than that. Yet the North Koreans immediately tried him and sentenced him to 15 years hard labor. Fifteen years! 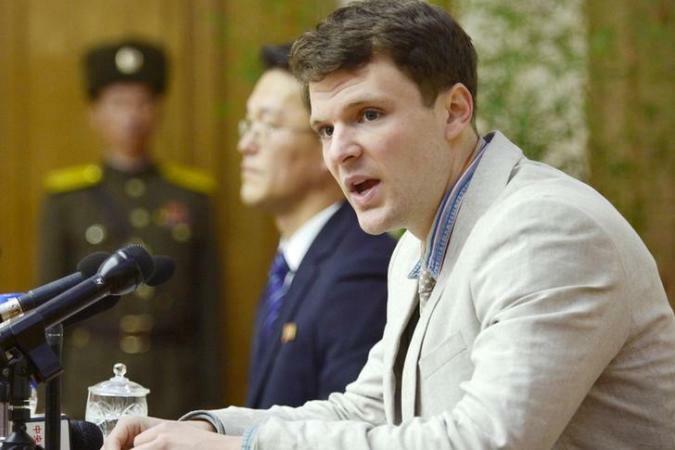 The story gives me the heebie-jeebies because I can’t help but think, “What if that were me?” Not that I would ever go to North Korea—and there’s a good reason the State Department warns Americans not to go there—and if I went, I hope I wouldn’t steal anything while I was there, but still… Even if Warmbier did it, 15 years in a North Korean concentration camp is a terrible price to pay for such a seemingly small and foolish decision! It’s so unfair! Do we Christians water down Jesus’ hard sayings? After all, in today’s scripture, he tells the man who had been paralyzed for 38, “Sin no more, so that nothing worse will happen to you.” By contrast, don’t we often say, in effect, “There, there… Just do your best. Your problem with sin isn’t so bad”? Well, Jesus wants us to know that our problem with sin is so bad—it’s the worst problem imaginable! And unless or until we come to grips with this fact, we’ll never receive the saving grace that he offers us. Growing up, the basement of our house was the very center of my childhood. The basement was a rec room, or rumpus room, back when those were popular. And in the early-’70s my parents entertained down there—a lot. My parents’ social life revolved around the Shrine Club, and the stereotype of Shriners, let’s face it, is that they liked to party. So my parents threw parties down there for dozens or hundreds at a time. And literally some of my earliest childhood memories involved lying in bed at night listening to this loud rumble of partygoers as they talked and laughed and listened to music and clinked their glasses together—the festive sounds reverberating through my bedroom vent from the basement down below. And of course, since this was the ’70s, cigarette smoke also came through my vent! No one smoked outside then! At one time or another, the basement included a pinball machine, a dartboard, a pachinko machine—which is a Japanese pinball machine used for gambling—an early Pong-like video game system, a TV, a stereo… But the showpiece of the rec room was trouble—which started with T, which rhymes with P, which stands for pool. Yes, we had a pool table. And when the grown-ups weren’t around, that pool table doubled as a tank, and an airplane, and a spaceship, and battleship, and a fishing boat. We climbed all over that thing. And the cue sticks were swords, spears, bazookas, and fishing poles. In honor of St. Patrick’s Day, I’m linking to the following Donall and Conall video from Lutheran Satire. I assume, looking at the St. Patrick icon in the video, that Patrick is responsible for some questionable analogies for the Trinity. Who knows?